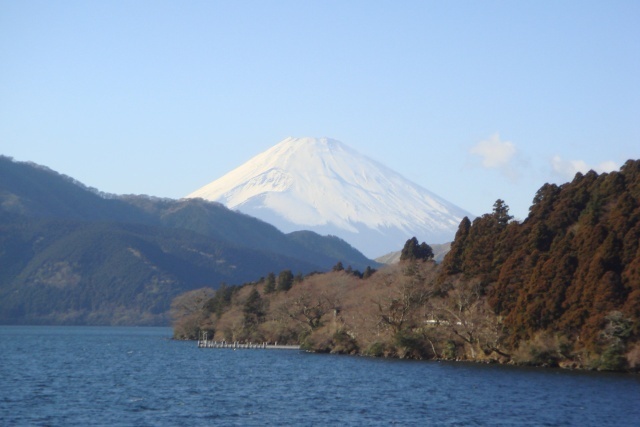 Hakone is part of the Fuji-Hakone Izumi National Park, less than 100 kilometres from Tokyo. 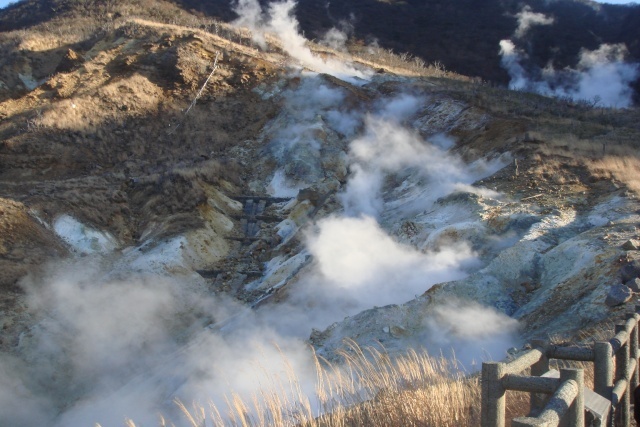 The scenic area is famous for its natural beauty, hot springs and its views of Mount Fuji. 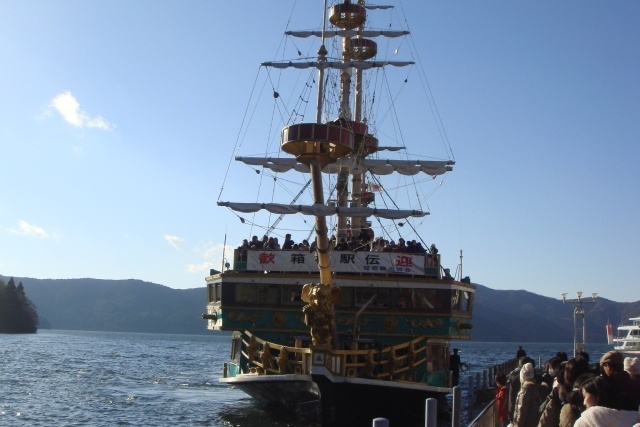 Hakone is made up of several towns which includes Moto Hakone and Hakone – Machi. From Hakone-Machi Mount Fuji is not in view. 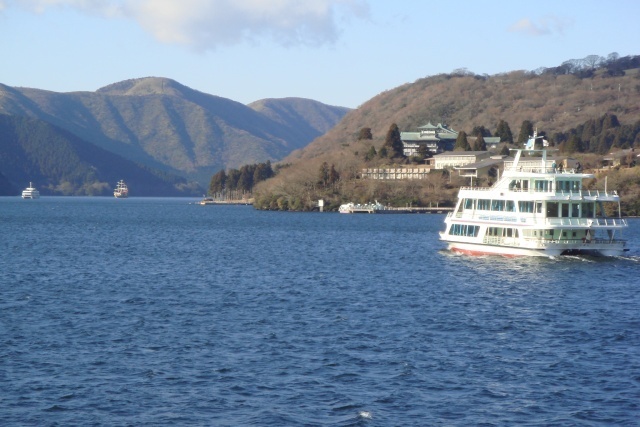 The blue pristine waters of Lake Ashinoko fill the caldera of a former volcano, the red Shinto shrine gate to Hakone shrine, the most famous in the area make up the view but still no Fuji. 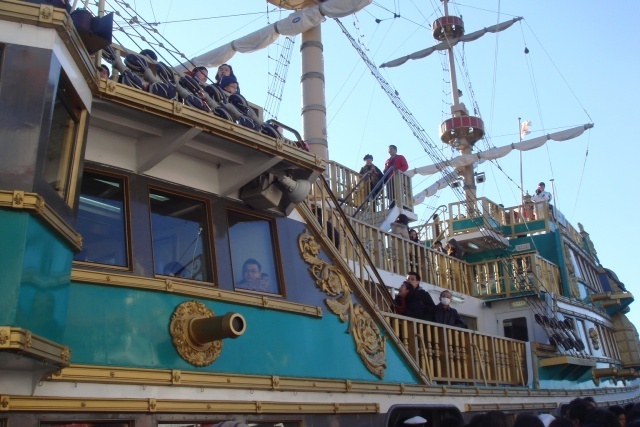 Boats depart regularly with gold cannons sticking out from its holsters, sails at full mast and statues of pirates. 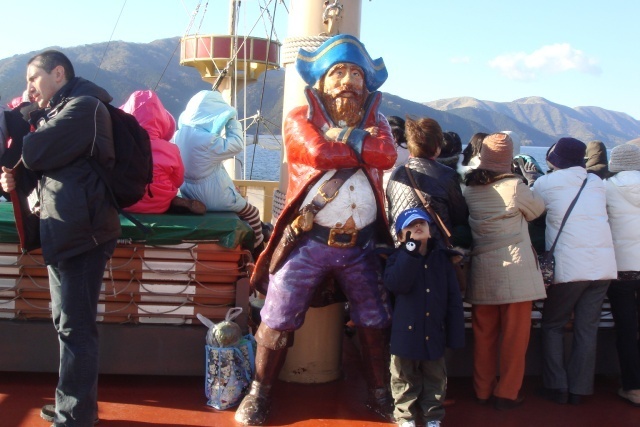 Why a pirate ship? I have no idea. 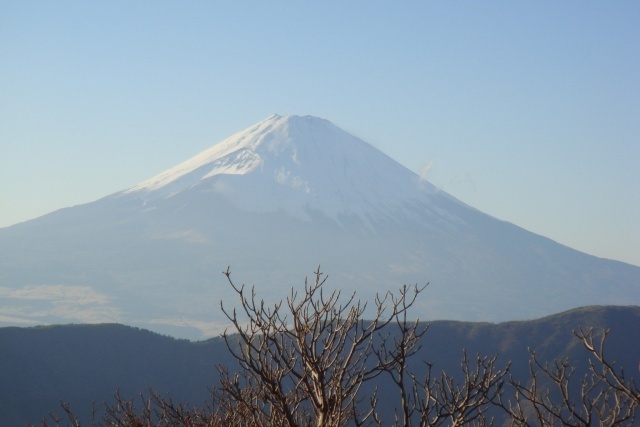 The wind whips across your face but it is well worth it to be out in the fresh air and then Mount Fuji comes into view, half covered in snow rising from the horizon, a lone dormant volcano 3776 metres high. 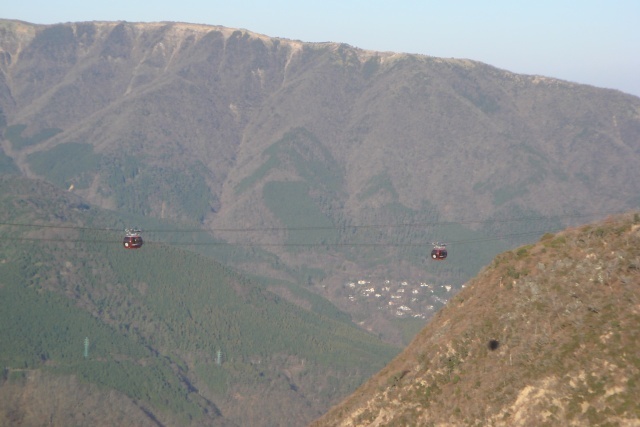 Togendai is at the northern end of the lake and is where you board Hakone Ropeway which goes to Souzan via the great boiling valley Owakudani. 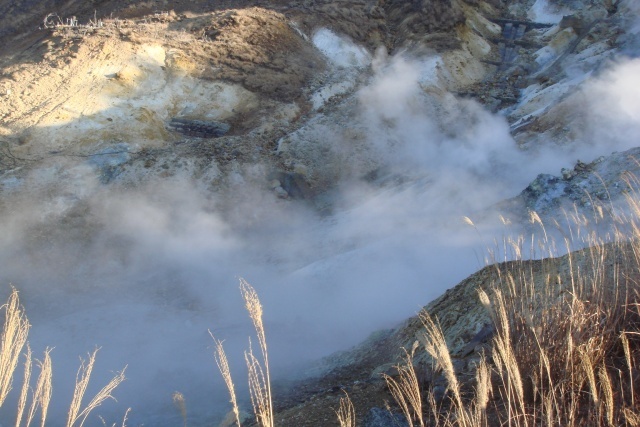 This is where people get off to see the clouds of steam engulfing the air from boiling hot springs or water seeping from the ground, the smell of sulphur wafts through the air from the active volcanic valley. 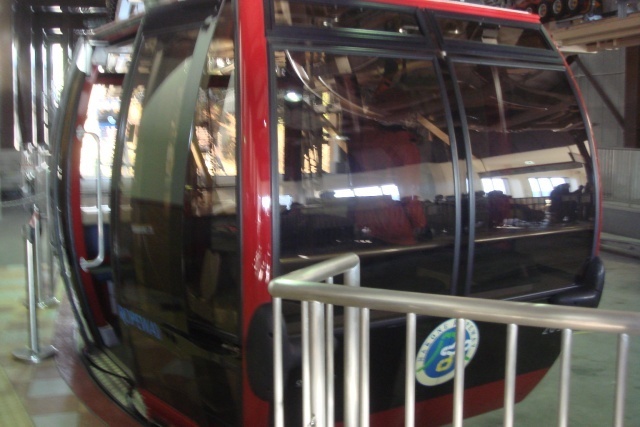 Mount Fuji is still clearly seen from the ropeway. 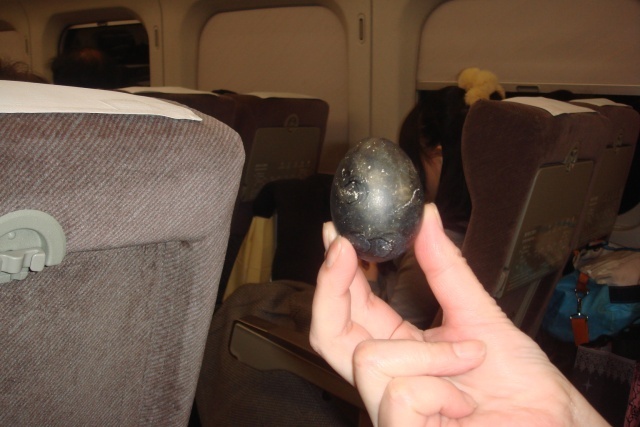 Hard boiled eggs that have turned black in the sulphuric hot springs, eating one is said to add seven years onto your life. 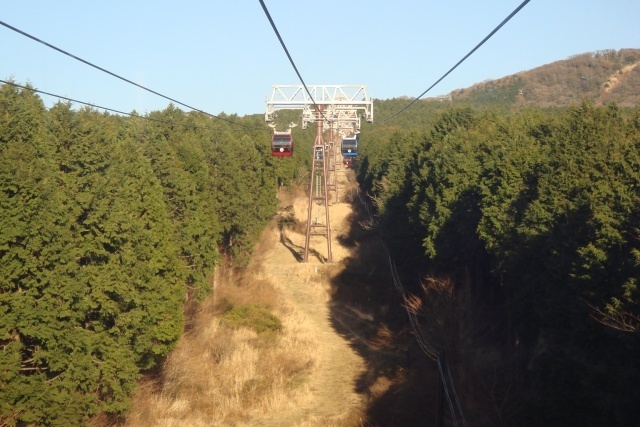 To finish the circuit, continue on the Hokone Tozan Cable Car from Souzan to Gora. Mount Fuji is no longer visible from here The trip takes ten minutes to Gora before transferring onto the Hakone Tozan Cable Car from Gora to Hakone Yumoto. The train winds through a narrow densely wooded valley. 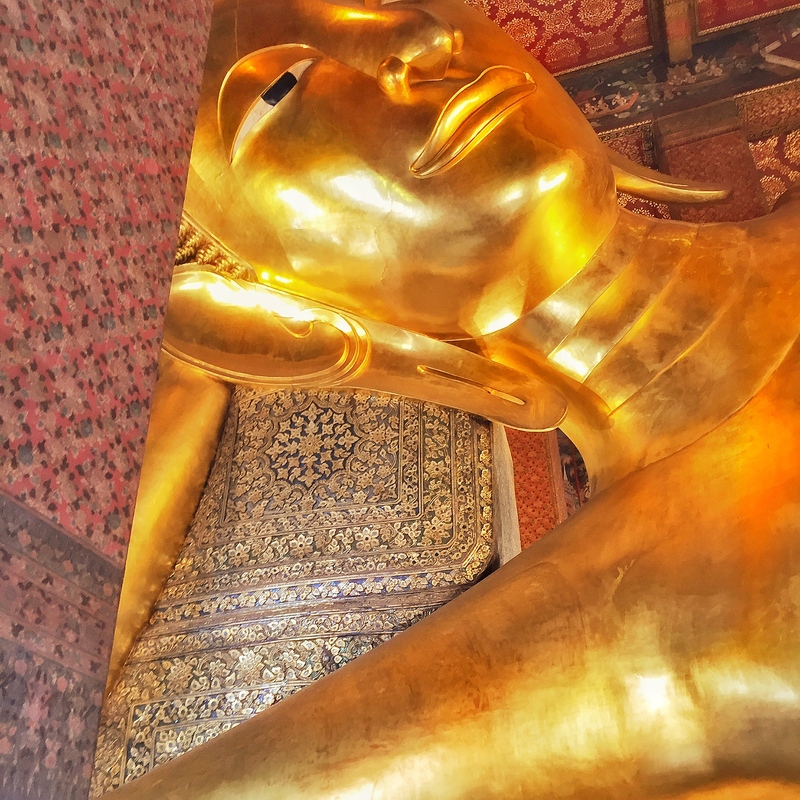 The 2 day pass saves you money even if you go for a day trip.